* 2. Have you developed your business financial goals and key performance indicators? * 3. Are your managing the business financial goals that you have set? * 4. 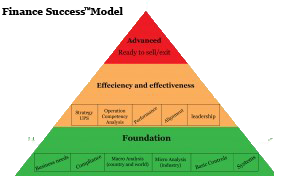 Have you selected the appropriate structure to achieve your goals? * 5. Do you know your obligations as a Director and Shareholder in terms f Companies Act guides by CICP? * 6. Do you know your obligations as a Taxpayer in terms of Income Tax and VAT? * 7. Do you know your obligations as an Employer in terms of Basic Conditions of employment Act and relevant regulations, Labour Relations Act, Skills Development, Income Tax Act, Unemployment Insurance Contribution Act? * 8. Do you know your obligations as a Trader in terms of National Credit Act, Consumer Protections Act, B-BBEE, etc? * 9. Do you understand how economy works? * 10. Have you set up the finance function( tasks and roles) in your business? * 11. Have you set up the costing and pricing for your products and services? * 12. Have you prepared budgets and projections for your business? * 13. Have you created management accounts using Key Performance Indicator? * 14. Have you created cash flow in your business? * 15. Have you set systems in place to manage your business cash flow? * 16. Have you designed financial management systems in your business? * 17. Have you designed financial controls? * 18. Do you know how financial performance and position work? * 19. Have you evaluated and analysed your financial statements? * 20. Have you identified funding for your business or transaction? * 21. Do you know how to select funding types for your business needs? * 22. Have you prepared for a funder/investor meeting/pitch?